Do you think geography should be about more than miserable maps? So do we. That’s why we created Horrible Geography. It’s all about exploring dramatic and dangerous places: a wild world where nature gets nasty. Mysterious jungles. Raging rivers. Weird monsters beneath the wild waves. That’s what we want to see when we do geography. If you agree, grab your compass, put on your tin hat and wave goodbye to the classroom. 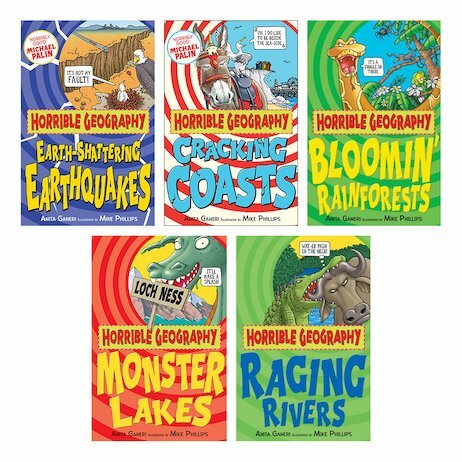 Say hello to Horrible Geography!